This gorgeous couple came to me this week for some belly shots. The dad is the son to one of my colleagues from work. 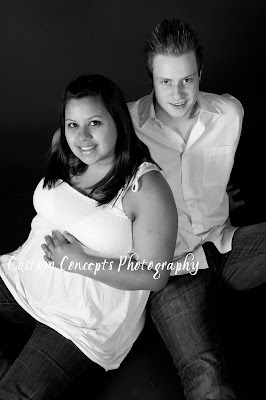 It is so fun showing how beautiful pregnancy can really be (strech marks and all:). Congratulations and can't wait to meet him! Beautiful photos of the couple - I love the black and whites. They are all beautiful (of course) but the silhouette is an amazing shot! We love the tenderness and love that show through these pictures. 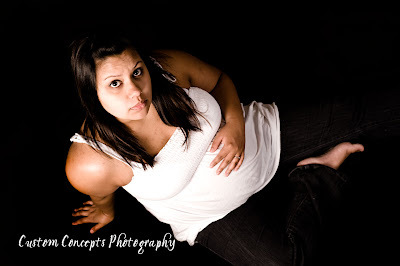 The beauty of a pregnant woman is absolutely amazing - Best Wishes! Lovely Photos. Cant wait to see some of the little fellow. Well lovely pictures wish you two the best. Beautiful photos. The photographer did a great job. A side to Matt I've never seen before. Good luck.WT. What lovely pictures, thank you for sharing. Love the black and whites. Great pictures guys. I wish you all the luck in the future. I really love the picture of you two looking down at the "bump"! You are in for such an exciting time - enjoy every minute!! Amazing photos of a truly special time. Love the black and whites. Murray, Lori, Cam and Gord. These are amazing pics! I think the third one down is my favorite - the one with mom's hand on the edge of the frame...very different! Great pics! The anticipation and excitement and love are really obvious. Keepers for sure. Your son will love these as he grows up.